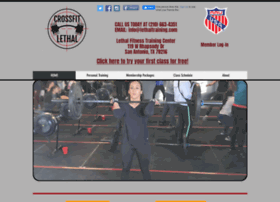 Crossfit Lethal provides intense workouts and programs that will help you achieve your health and fitness goals. We are located at 119 W Rhapsody Dr, San Antonio, TX 78216. Conveniently located in central San Antonio, minutes from the San Antonio Airport.